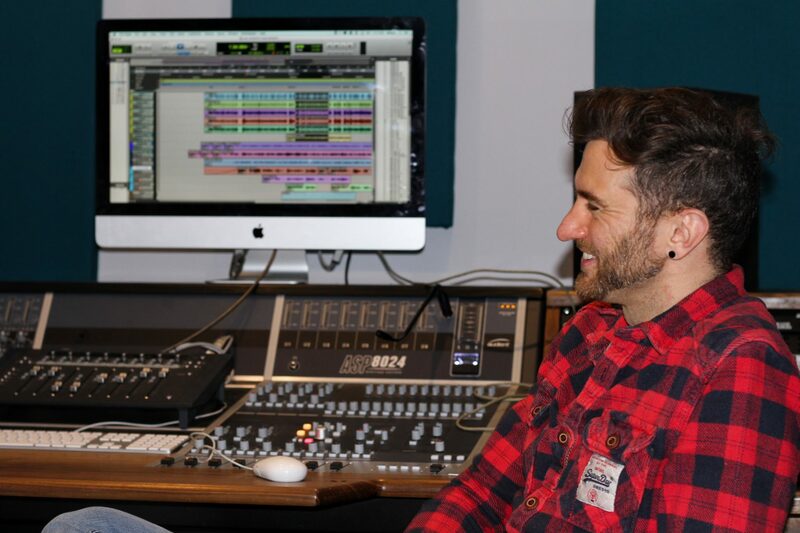 From launching his own promotions company, SA Promotions, and Manchester-based music festival, Hungry Pigeon, to constantly rubbing shoulders with the big players in the industry, Stuart Avery is certainly busy in the industry. 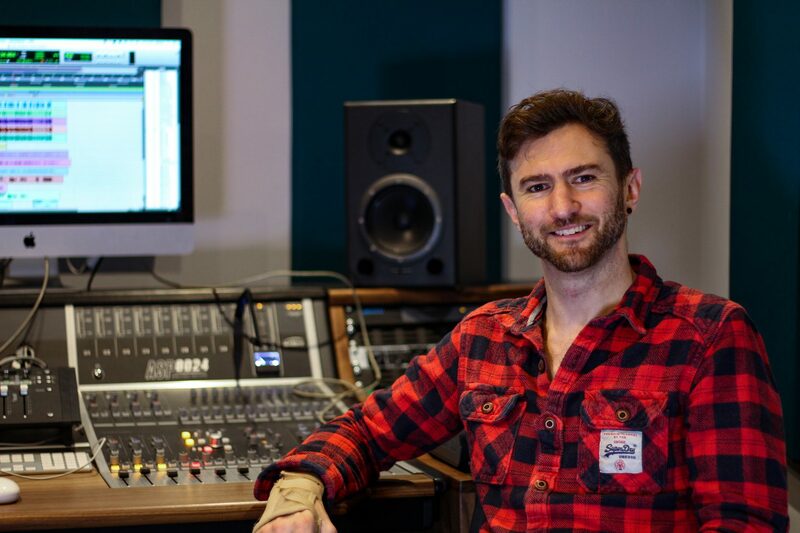 As well as working as an Audio Engineering Tutor and Pro Tools instructor with us, Stuart has recently taken on the role of Course Developer here at Spirit Studios. We sat down with him to find out what he working on, and what he currently has up his sleeve. So, Stuart, before we find out what you’re busy working on at the minute, tell us, how did you first get into the industry? I’ve been working in the industry, doing a variety of job roles, since I was 19. I started out as a guitarist and then became a live sound engineer working for a PA company called Noise Box. From there, I started working at a studio called Level One studios – just around the corner from here – and began to specialise in mastering. It’s safe to say you’ve been in the engineering business for quite some time, then. Can you remember the first record you had credits on? Yeah, it was Angie Brown’s ‘Rockin 4 Myself’ in 2006. Since then, you’ve worked with likes of New Model Army and ABC – who have you been working with lately? Recently I’ve been working with a band, The Irrepressibles, who are really fascinating to work with. As well as this, I’m also working with a brilliant new band, Mora, on their debut album which is coming out later this year. Perhaps a tough question to answer, but is there a record you’ve worked on which you’re most proud of? I’d have to say the new stuff I’m working on at the minute with The Irrepressibles, just because it’s very avant-garde and the music feels so controversial. As a Mix Engineer, it almost feels a bit dangerous to be involved in because you feel like you’re always pushing boundaries. Given your time in the industry, would you say it’s changed significantly since you first started out? It’s totally different. In fact, it’s almost unrecognisable. Back when I first entered the industry, artists made money from record sales and they went on tour to support the record sales. Now, touring and live performances are the primary stream of income, as opposed to record sales. In addition to this, streaming and syncing have also become significant streams, too. Big record labels don’t rule the roost anymore and the advance in technology means people can produce professional sounding records with just a Mac and some software. So, I would definitely say there’s a much more even playing field, and a breeding ground for real talent now. As a result of this, would you say the industry has become even more saturated? Yes, it’s a competitive industry, for sure. It’s tough, there’s no two ways about it. But, as course developer, I am currently working towards creating more links with the industry, as well as ensuring all course materials are closely in line with the needs of the industry in 2019. Aside from working here, you have plenty of great links with the industry too. Do you think networking in the industry is important for people who are just starting out? Yeah, definitely. In this industry, a lot of work comes about as a result of recommendations, so it’s important to always build bridges wherever possible. As Course Developer, one of the things I’m constantly trying to push is links between the students and the industry. I’m really keen to set things up which are both beneficial to our students and people within the industry. For me, it’s about ensuring the students and the people within the industry are gaining something valuable. As an engineer, can you pinpoint one record you wish you’d worked on? There’s so many, goodness. It would have to be Suede’s debut album because it’s the record which really got in me into music in the first place. The guitar sound Bernard Butler created on the record was something I had never heard before. It was so inspiring, it actually led me to pick up a guitar. So yeah, I would have loved to work on their record. Well, Stuart, it’s fair to say you’ve been busy. You also set up your own company, SA Promotions – how did that come about? Promotions was something I fell into accidently, pretty much. While I was playing as a musician, I was hanging around with a lot of bands who weren’t happy with promoters. I realised there was an opportunity to put on events myself. Fretnoise, the first night I launched, became a bit of a runaway success and everything snowballed from there. At the time, I was networking with a lot of people who were making a lot of noise in the industry, such as; The Travelling Band, Rae Morris and JP Cooper. From there, I set up Hungry Pigeon – a music festival in Manchester’s Northern Quarter – which ran for 3 years. The festival took place across 22 venues and the main stage was situated in Piccadilly Gardens. Setting up the festival was a real challenge and required a lot of meetings with the police and the council. There is just one last thing before you go. As well as being an audio engineer, you’re also a qualified therapist, tell us a bit more. Yeah, people think working as a therapist is very different to everything else I do, but it does definitely influence the way I both teach and work. Working with clients as a therapist is incredibly grounding and it’s a constant reminder of the values I’m trying to live and work by. I talk to my students a lot about values and being true to themselves. If you choose a job closely suited to your values, you will feel happy and fulfilled, so it’s important to spend some time figuring out what your values are. I guess the main thing I’d say about being a therapist is that it helps me be a more compassionate and sensitive person, which is important when you’re working with a load of students with many different needs, outlooks and challenges, not to mention the range of different characters and personalities I come across working as a freelance engineer! Thanks for chatting to us, Stuart. We’re excited to see what you get up to next.